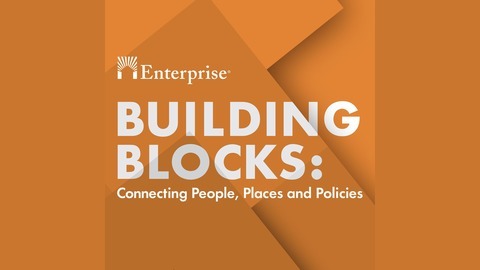 Building Blocks: Connecting People, Places, and Policies is a space for thought-provoking conversations about the current issues, trends, ideas and big questions facing the affordable housing and community development field in the United States. 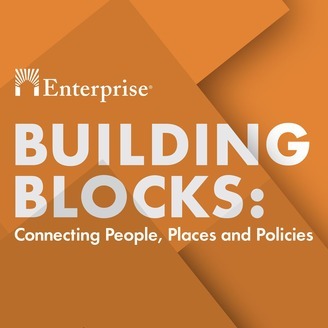 The podcast series is hosted by Laurel Blatchford, Senior Vice President and Chief Program Officer at Enterprise Community Partners, a proven and powerful nonprofit, creating opportunity for low- and moderate-income people through affordable housing in diverse, thriving communities. Enterprise Advisors, the technical assistance and consulting leg of the Enterprise network, has quickly solidified their place as an industry leader through cross-disciplinary initiatives like disaster recovery and resilience, the National Resource Network, and, most recently, Opportunity Zones. In the years following their creation, the Advisors team has expanded their framework from exclusively federal contracts to an increasingly diverse set of public and private partnerships that have elevated new ideas and standards for more equitable and inclusive communities. On Episode 7 of Building Blocks, I’m joined by Patrick Jordan, Vice President of Enterprise Advisors, to discuss the strategic opportunities created through mission-driven consulting and the impact we can expect from the team in the future.